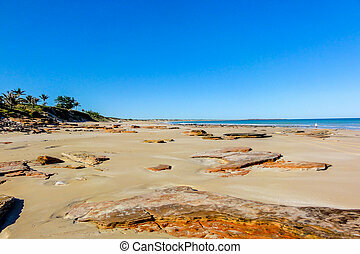 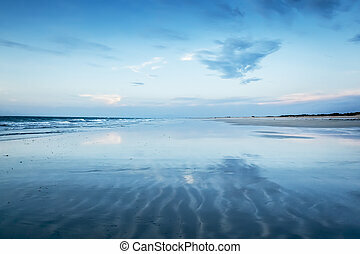 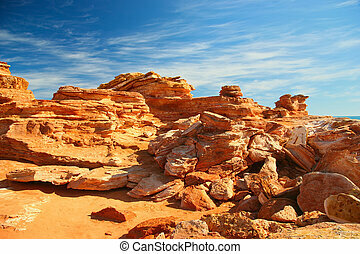 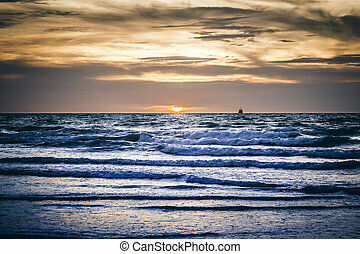 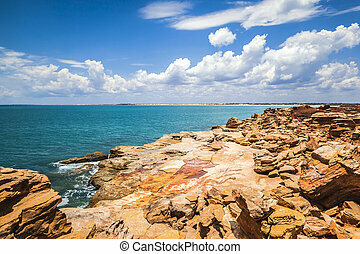 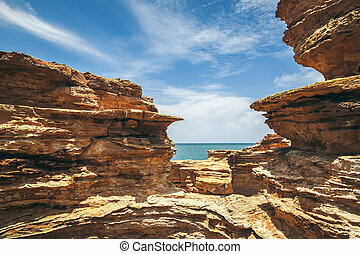 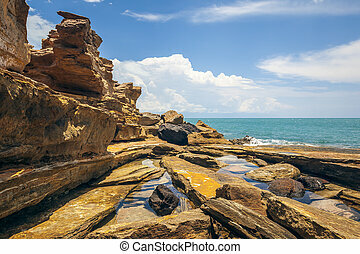 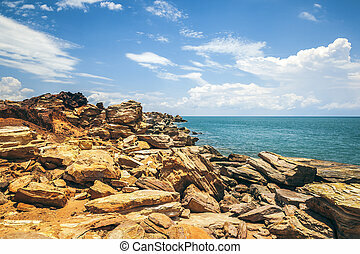 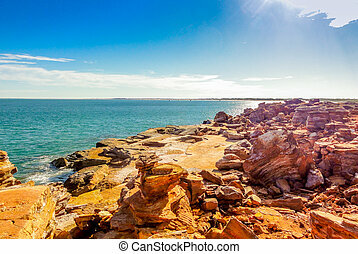 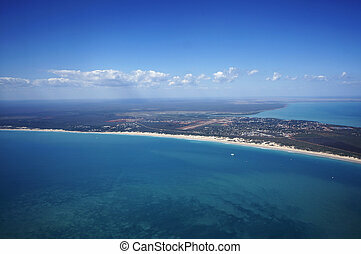 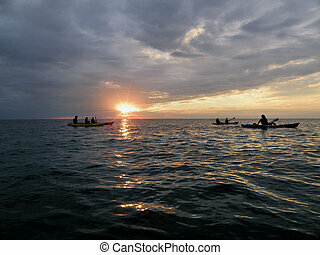 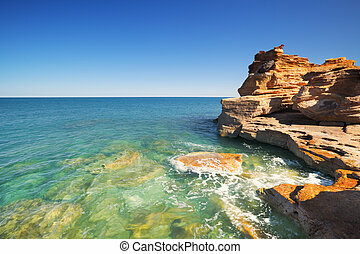 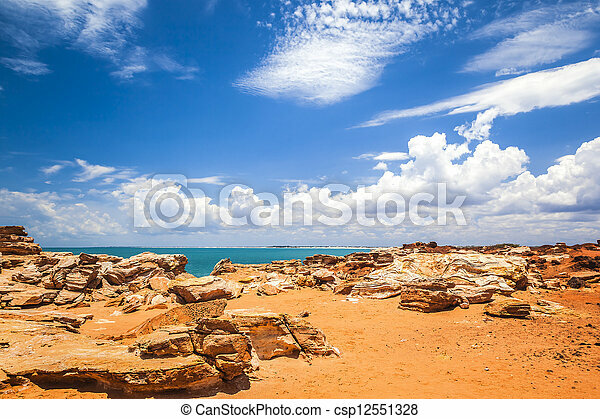 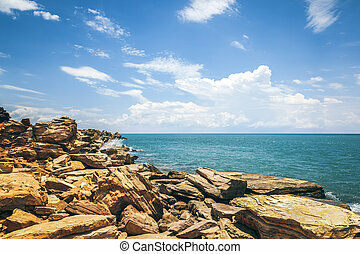 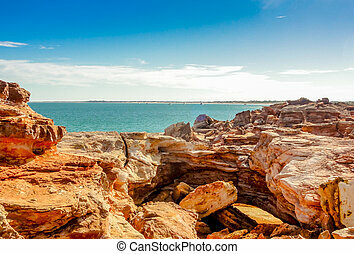 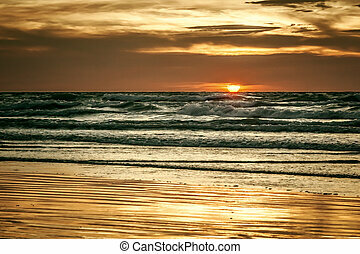 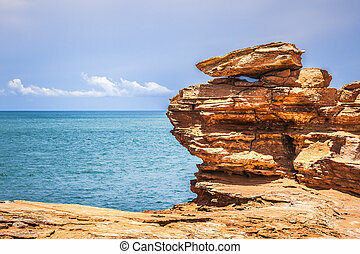 An image of the nice landscape of broome australia. 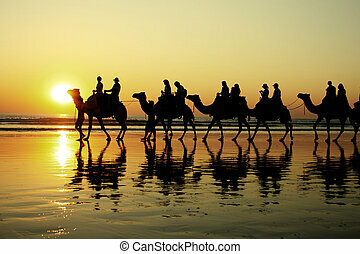 Camel ride in Broome, Australia. 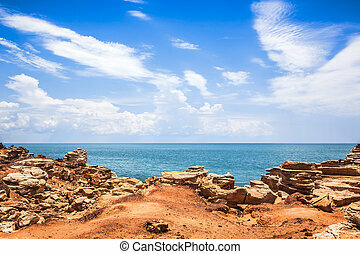 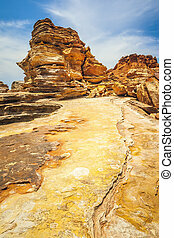 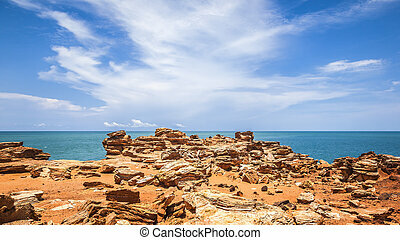 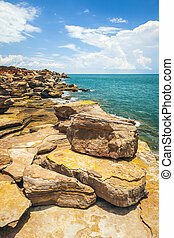 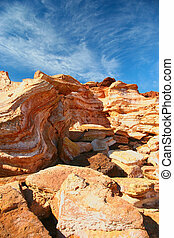 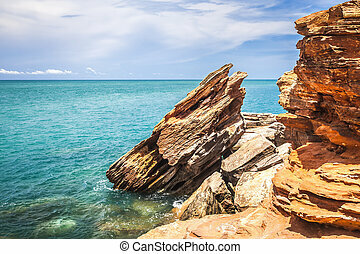 Red cliffs at Gantheaume Point, Broome, Western Australia on a bright and sunny day. 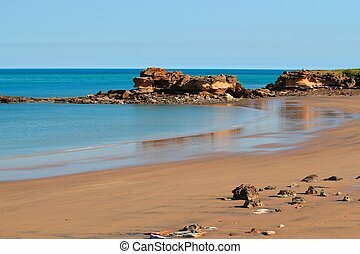 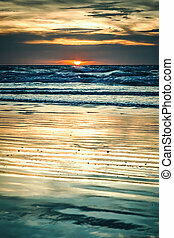 The famed Cable Beach in Broome, Western Australia during the warm winter. 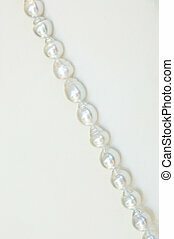 The string of necklace, made from natural white pearls - from Broome, Western Australia. 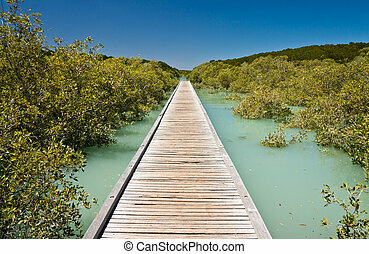 A centrally placed wooden jetty leading to a vanishing point between colorful bright green mangroves and a background of a clear blue sky. 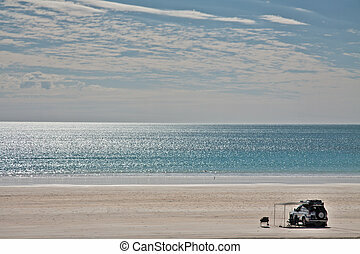 Lanscape view of a lonely isolated 4WD on a sandy beach with a spakling metalic sea, and a hazy sky.